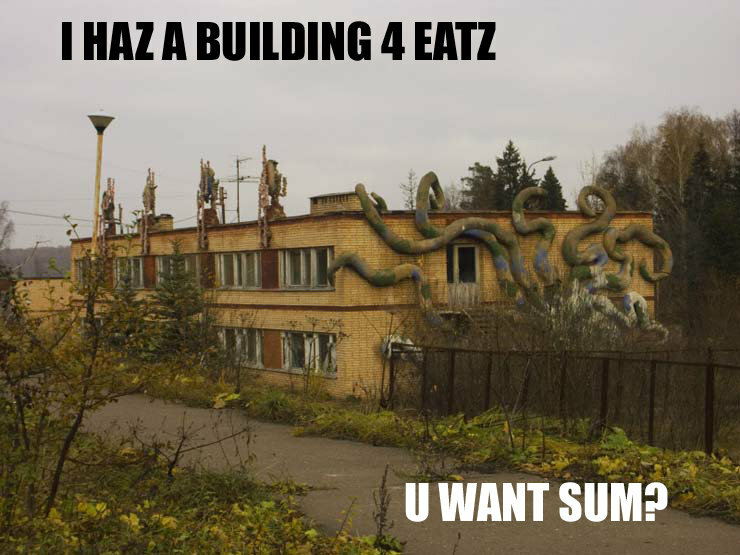 LOLTHULHU » I HAZ A BUILDING 4 EATZ – U WANT SUM? I HAZ A BUILDING 4 EATZ - U WANT SUM? 2 Responses to I HAZ A BUILDING 4 EATZ - U WANT SUM? Indeed. Many terrible creatures roam the former USSR: Why play post apocalyptic RPGs when you can live in Russia?